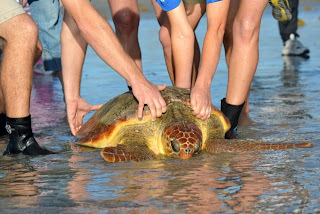 COCOA BEACH, Florida -- Sea World released a rescued loggerhead sea turtle back into the Atlantic Ocean from Lori Wilson Park in Cocoa Beach today. 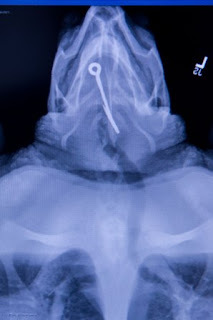 The animal was found by the Inwater Research Group - an organization committed to the research and conservation of coastal species and habitats – who also assisted in the animal’s transport. 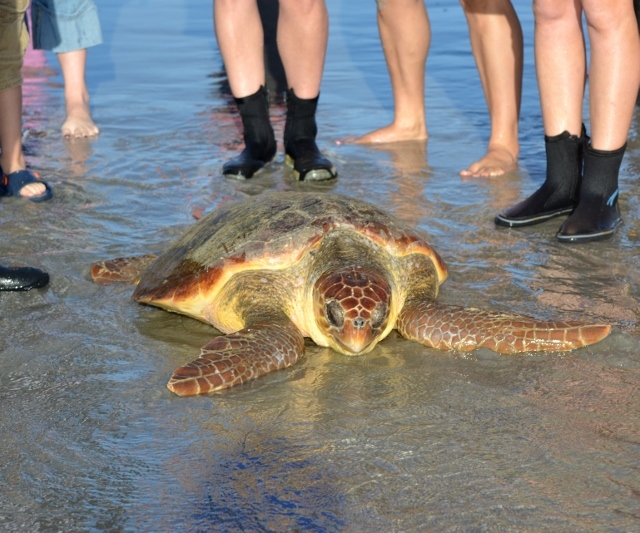 The turtle, a sub-adult weighing approximately 100 pounds, was rescued from the intake canal at the St. Lucie Power Plant in St. Lucie County, Fla. The turtle arrived at SeaWorld Orlando on February 26, 2012 and underwent surgery the following morning after x-rays and blood work procedures. 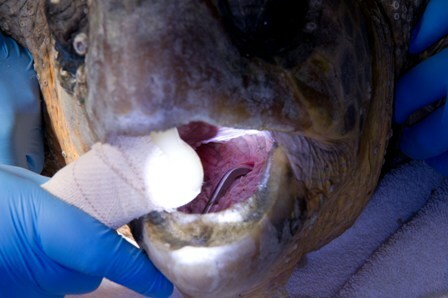 After a 4-inch-long fishing hook was successfully removed by Sea World's veterinary team, the turtle remained with Sea World to allow time for a post-surgery recovery. So far this year, SeaWorld Orlando has rescued nine sea turtles. For 45 years, SeaWorld Parks & Entertainment has helped animals in need -- ill, injured and orphaned. More than 20,000 animals have been rescued by Sea World.‪ Sea World’s animal rescue team is on call 24 hours a day, 7 days a week. 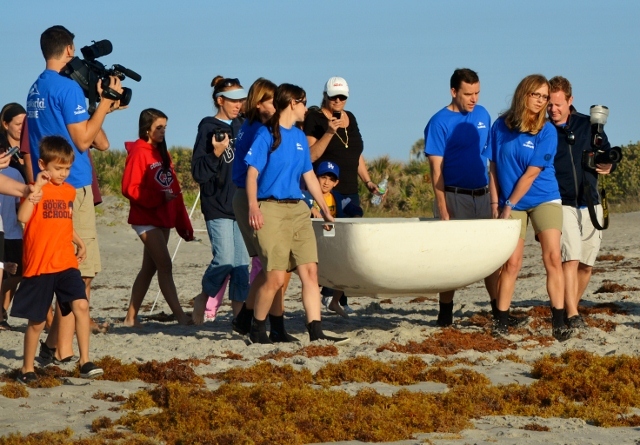 First video credit: Sea World Orlando.